Thinking about getting a 3 head Duncan frag. So if I did do I need to remove each head from the frag plug and place them. Also can they move on their own if they arnt happy. And where should I place them in my tank. 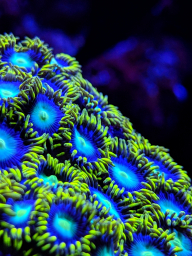 Duncan's are quite hardy and are a nice flowy coral once there's quite a few heads , no all the heads they can all be kept together on the plug and placed as one . Id leave until they develop and grow many more heads before thinking about splitting bits off . They don't move around the tank and are generally better low to mid placement but if mid not directly under the lights.